Introduction to the CCASN Master Schedule Guide. Download PowerPoint. As schools evolve to meet the demands of the 21st Century, the process of developing a master schedule has become increasingly complex. As learning rather than time becomes the constant, traditional ways of looking at school calendars, bell schedules, and the how, where, and when we learn and teach are changing. This guide is designed to support schools that are using a Linked Learning approach and/or wall-to-wall or multiple pathways/academies approach to redesign high schools. Our goal is to build a community of practice around master scheduling so that all students are supported to be college and career ready in thematic pathways that combine rigorous academics, challenging technical learning, work-based learning, and personalized supports. Ideally, each student will be fully engaged in a learning community that reflects her/his college and career interests. Ideally, each pathway/academy will include cohorts of students that are purely scheduled, pathway/academy teachers who share common planning time, and programs of academic-technical study that are “blocked” in such a way to support deeper learning and the flexible use of time. This Master Schedule Guide is a living resource. There are many individuals and master schedule teams who contributed their knowledge, expertise, and time in the development of this online Master Schedule Guide. We conducted lengthy interviews with identified scheduling experts. 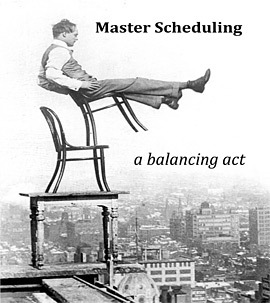 We brought together cadres of scheduling experts to explore master scheduling topics in depth and called on them and others to review various drafts of the Master Schedule Guide and various tools and resources. We offer our deepest appreciation to all. We also build on the earlier CCASN Scheduling Guide for Career Academies and Other Small Learning Communities (2006) and contributors to our first guide must also be acknowledged. In addition, CCASN received funding and generous support for the development of the 2006 Guide from the National Academy Foundation (NAF) and the 2014 Guide from ConnectEd California and the James Irvine Foundation. Joseph DiMartino, President, Center for Secondary School Redesign, Inc.
CCASN Staff who co-authored and/or contributed to this Guide and/or to the 2006 CCASN Scheduling Guide include: Patricia Clark, Charles Dayton, Erin Fender, Tracy Hanna, Annie Johnston, Pedro Nava, Phil Saroyan, David Stern, Pierre Tchetgen, and Susan Tidyman. We were supported in this work by Carrie Collins, our CCASN Administrator, and Gilberto Conchas, Director of our Southern California CCASN Center at UC Irvine. The web architecture and development (and so much more) is the work of Nick Despota of Lumina Media and his programmer Tod Abbott. We invite everyone interested to share your own master schedule, bell schedule, and school calendar resources, tools, and best practices. Please contact either Patricia Clark (patricia510@gmail.com) or Phil Saroyan (jp9@jps.net) at the College and Career Academy Support Network (CCASN) at University of California Graduate School of Education if you have a scheduling resource to share. The Master Schedule Notebook serves as a repository for recording scheduling data, ideas, insights, decisions, etc. at every stage of the Master Schedule development process. It documents the process, the results, and the learning that occurs along the way. It is also a place to save artifacts of the master schedule development work that will inform both reflection on the work and the cycle of continuous master schedule improvement. The Master Schedule Notebook/Log/Journal/Portfolio may be maintained in a binder, as a set of folders, as a set of files on a platform such as Google Drive, or elsewhere in the cloud. Recommendations for Master Schedule Notebook content as well as checklists, templates, prompts, and forms are provided in the Master Schedule Notebook section for each Stage of the Master Schedule development process. In addition, recommendations for a District level Master Schedule Notebook are included in the District System of Support section of the Guide. Founded in 1998, the College & Career Academy Support Network (CCASN) is based in the Graduate School of Education at University of California Berkeley (UCB) and in the School of Education at the University of California Irvine (UCI). The CCASN team involves a mix of researchers and practitioners and has worked in over 20 states to support design, development, implementation and enhancement of academies, linked learning pathways and other small learning communities as well as school-district-regional-state systems — while simultaneously assembling, developing, and documenting information, tools and resources. Our work resulted in a series of guides now available on the CCASN website, along with other tools, templates, databases, videos, and more. CCASN continues to engage in a broad range of efforts that join research findings with practical solutions that improve the college and career readiness of youth. CCASN is funded by private foundations, as well as through contracts with states, districts, and industry and community partners. With the support and contributions of our fabulous CCASN Colleagues – Charles Dayton, Erin Fender, Annie Johnston, Pedro Nava, David Stern, Pierre Tchetgen, and Susan Tidyman. With the support of Carrie Collins, our CCASN Administrator, and Gilberto Conchas, Director of our Southern California CCASN Center at UC Irvine. With web design and development, guidance, and creative contributions by the CCASN web master Nick Despota of Lumina Media and his programmer Tod Abbott. A description of college and career academies. An overview of national standards of practice for career academies with highlighted standards that impact master scheduling. A description from ConnectEd California and the James Irvine Foundation.